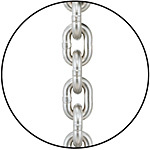 Corrosion Resistant Chain made of Grade 80 is nickel-plated for longer wear life and strength. 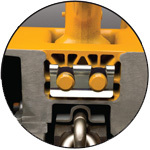 Mechanical Load Brake is Weston-style for secondary braking action. 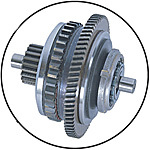 Friction Clutch prevents damage and overwinding. 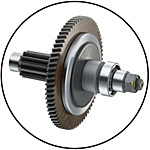 It couples with Weston-style load brake for better braking. 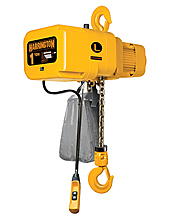 Suspension design allows easy change from hook to lug mount using external suspension pins. 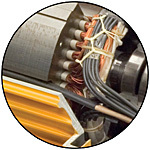 Enclosed motor runs cooler due to specially engineered fan which also cools brakes. 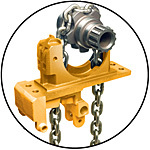 Cast iron chain guide provides smooth chain guidance and improved wear compared to other models. 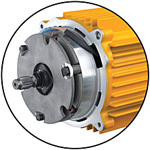 Specially designed electromagnetic motor brake has failsafe design. 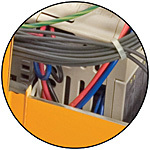 Control Panel has easy access cover and simple layout for ease of planning maintenance. 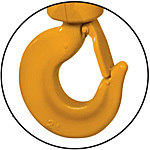 Forged carbon steel hooks hold shape even under excessive loads and rotates 360 degrees. 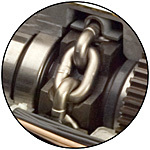 Upper and lower limit switches keep headroom small while controlling chain drive limits up and down. 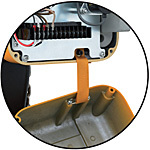 Push button pendant is ergonomic in design and allows easy one-handed use. Die-cast aluminum body is lightweight and compact in design. 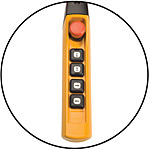 Count hour meter with digital display tracks motor starts, run time and use history. 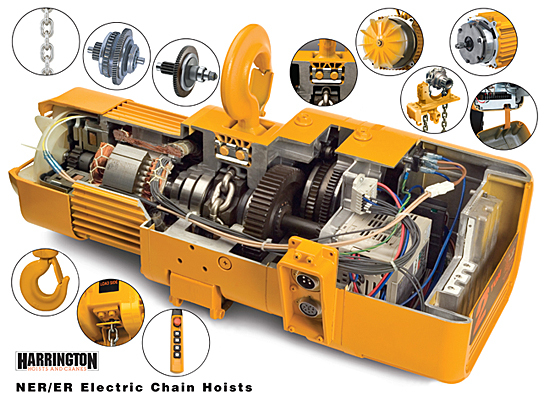 Drive motor geared for efficient transfer of work energy. 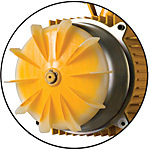 Insulated heavy duty motor has engineered cooling fins, high horse power and excellent duty cycle times. 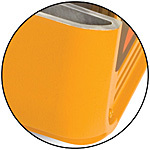 Completely sealed body allows both indoor and outdoor use even in harsh conditions. 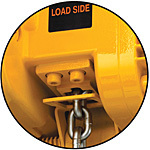 Load sheave pockets fully support chain to limit chain wear and vibration for true vertical lift. 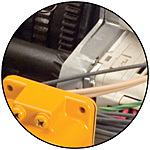 Plug-in connections provide easy installation and operation. 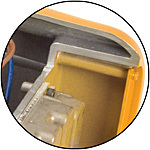 Saves time in set-up and maintenance. 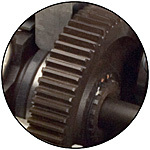 Heat-treated gears are precision machined for longer life and run in an oil bath for smooth, quiet, cool operation.